The Chateau d'Ancenis was built in 984, on the bank of the Loire. It originally consisted of a motte-and-bailey castle. It had simple defences including a moat and a palissade with an encloseure to shelter the population. Owing to its location, it rapidly developed as an ideal place for surveillance of the river, exercising military and economic control. 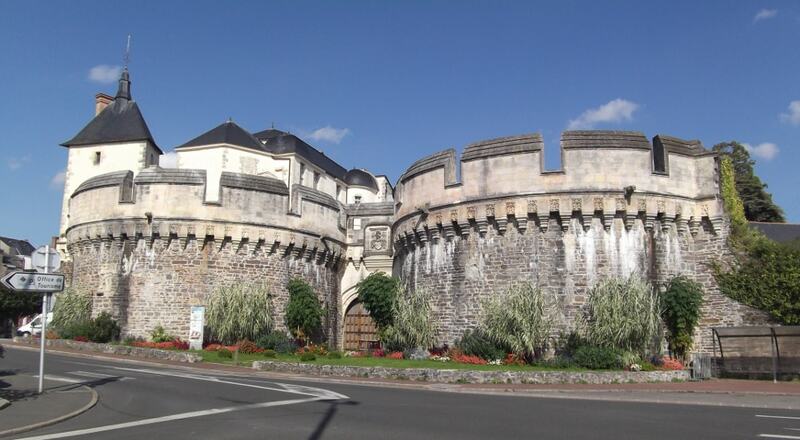 The mediaeval fortress (15th century) had a unique system of access: a drawbridge arranged in a chicane and a crooked arched gallery with a portcullis. It has been listed since 1977 as a monument historique by the French Ministry of Culture.